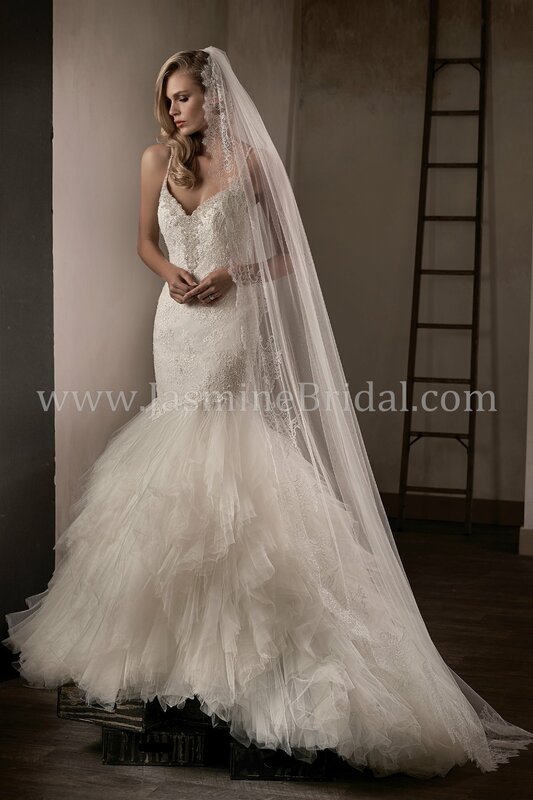 Chantilly Lace, Tulle fit and flare gown with beading and a textured tulle for a full look on the bottom of the gown. A beautifully crafted gown with straps that criss-cross on the back. 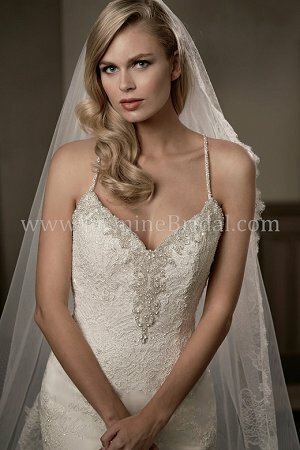 A delicately beautiful wedding gown that exudes class.